It should be no secret by now that Philadelphia has made a name for itself as one of the best food cities in the country. 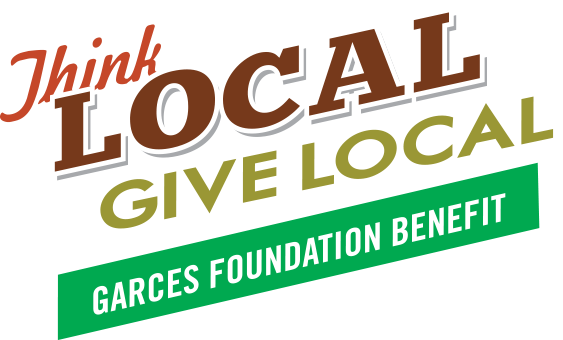 Jose Garces will be highlighting this with his event Think Local, Give Local on Friday, March 24 to benefit the Garces Foundation. The event will take place from 7:00-10:00pm, with a VIP preview beginning at 6:00 and VIP after party from 9:00pm-midnight at the Loews Hotel in Center City. The event will feature tastings from over 35 of the area’s best chefs, along with local beer, cocktails made from local spirits, locally created décor elements from Petals Lane, and more. Entertainment will be provided by American Deluxe, flamenco troupe De Luna a Lunares, and Denise Fike will provide complimentary fashion illustrations of each guest. For the important part, guests will enjoy drinks from Tito’s Vodka, Patron, Beam Suntory, and Bluecoat Gin, with beer from Yards, Brooklyn Brewing, and Estrella. There will also be wine from Winebow. There will be stations from all Garces restaurants, which include 24, Amada, Bar Volver, Distrito, Garces Trading Company, JG Domestic, The Old Bar, Tinto, Village Whiskey, and Volver. As for the other food, there will be plenty of the best and brightest of Philadelphia represented: A Mano, Abe Fisher, Aldine, Alma de Cuba, Bank and Bourbon, Bing Bing Dim Sum, Bistrot La Minette, Blackfish, Brauhaus Schmitz, Capofitto and Capogiro, Chue Noodle Bar, DiBruno Bros., Ela, Fork, Gilda’s Biscotti, High Street on Market, Hungry Pigeon, Kanella, Kensington Quarters, La Calaca Feliz, Lacroix, Le Cheri, Little Bird Bakery and Café, Mission Taqueria, Spread Bagelry, Townsend, Vedge, Vernick Food & Drink, the Vetri family of restaurants, Weckerly’s Ice Cream, Whetstone, and Zeppoli. Tickets are available on the Garces Foundation website, and will run for $150 for general admission, with early admission at $200. For the whole package – early admission and the VIP after party, tickets will be $250. The event will require cocktail attire. The Garces Foundation was founded to support Philadelphia’s immigrant community, particularly employees of the hospitality industry, by providing programs to improve health, language, cultural skills, and nutrition in the community. With the way things seem to be going, helping immigrants is more important now than ever, so while you’ll be getting great food and drink for a night out, you’ll also be giving the immigrant community in Philadelphia much-needed help. Get your tickets now. This entry was posted on February 3, 2017 by Ryan in Events and tagged garces, garces foundation, give local, immigrant benefit, jose garces, think local.